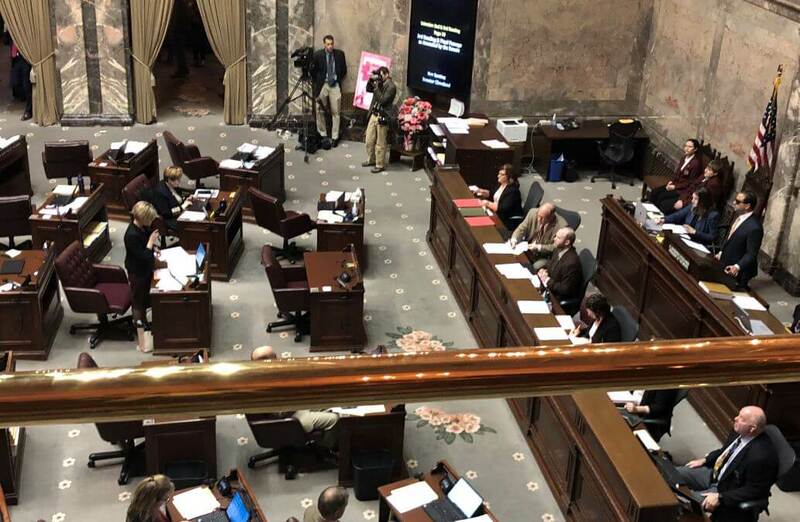 The Washington State Senate passed a bill on Wednesday that would codify provisions in the Affordable Care Act (ACA) into state law. The vote came just two days after the U.S. Department of Justice voiced its support for a decision made by a federal judge in Texas, who recently struck down the ACA as unconstitutional. The House bill has now passed out of both chambers, and both floor votes have been along party lines. It isn’t across the finish line quite yet — it was amended in the Senate to include an emergency clause. It will now go back to the House for another vote before it can go to the governor’s desk. This will be Rep. Lauren Davis’s first prime-sponsored bill as a legislator to make it all the way to the governor’s desk, if the House approves the amended legislation. If it ultimately passes, the bill will preserve several provisions in the ACA into state law that will apply to health care plans sold in Washington, regardless of action at the federal level. One big talking point for the legislation’s supporters: It codifies into state law the ACA’s prohibition for health carriers to reject applicants, deny them coverage, or limit their coverage based on pre-existing medical conditions. Among the other ACA provisions it codifies: Patients can’t be dropped from coverage unless there’s fraud involved. 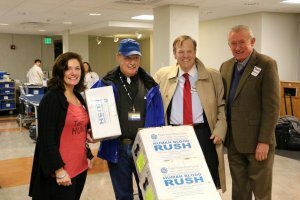 And, services for the “ten essential health benefit categories” can’t be subject to annual or lifetime limits — those benefit categories include maternity and newborn care, mental health and substance use disorder treatment, prescription drugs, preventive care, and oral and vision care for children. Arguments against the bill during Wednesday’s floor debate came from several Republican senators. Sen. Ann Rivers said she thought the bill was “yet another stab at the president, yet another opportunity to vilify.” Sen. Randi Becker said that, while she thinks the protections for people with pre-existing conditions and other parts of the ACA were a good thing, she didn’t feel the same about the law as a whole. Specifically, she pointed to managed care organizations and access to care. Davis rejected the idea that the provisions this law would preserve aren’t working. With the newly added emergency clause, the bill would go into effect as soon as Gov. 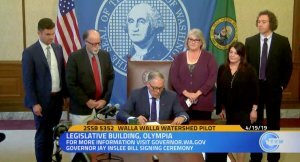 Jay Inslee signs it. This story was also cross-posted on our sister site, State of Reform.